This is an LP released on Amish Records in 1998. Metabolismus often get tagged as krautrock. I think that the K word is used so often because they are a German collective producing unique music. Admittedly there are parts of this LP that point towards the motorik groove of early Neu! 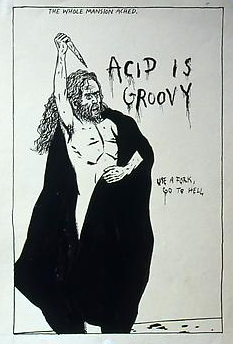 and Ash Ra and Faust and early Amon Düül but there is never the sense of them referencing previous works. There is even the sense of the collective mind at work from the very earliest Düül recordings. There are eleven people credited on this release including Samara Lubelski (a member of Chelsea Light Moving, The Tower Recordings and so much more), Moritz Finkbeiner, Thilo Kuhn, Thomas Schätzl and Werner Nötzel (who are also in Sinergia Elettronica alongside David Vanzan and Virginia Genta of the various Jooklo projects). Yeah, I'm referencing what I hear but Metabolismus are entirely their own very special creation. I really love them. I don't have that much of their work and that makes me feel that there is another dark void in my life. There are so many self-released tapes throughout the 1990's that I will never get to hear. Ah well! In the meantime, Freak'n'roll on this. 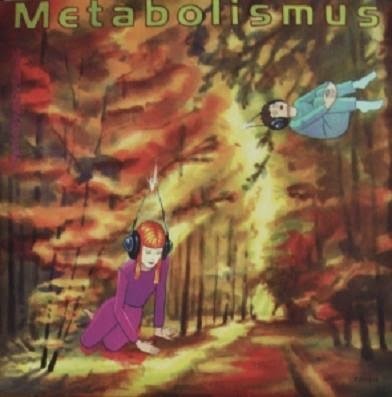 Thanks for these Metabolismus posts.. I totally whiffed on them -- always nice to be blown away for the first time!